Mark Twain, J.F. Archibald And Henry Lawson - Did They Go Fishing At Narrabeen In The Spring Of 1895: Probably! On the Narrabeen Lagoon, AT MANLY. For several years the rumour that Mark Twain visited our area has persisted in tales of a fishing trip to Manly with J. F. Archibald. Henry Lawson also figures in the 'tale', and asked by Archibald to keep supplying live fish to Twain's line from a hidden crevice below where they fished from. J. F. Archibald was a keen promoter and supporter of Henry Lawson through The Bulletin. Following other threads, from which it is recorded that when Henry Lawson heard Mark Twain on his speaking tour in Sydney of September 1895, 'the young poet, seated in the front row, banged the stage so hard in enthusiasm that the white hair of the old American shook' it is also asserted and that the two dined together in Sydney. A LECTURE ON HENRY LAWSON. NB: - other sources state this first presentation was 'Nights of Wit and Humour'. Henry is now standing and leaning forward against the stage, rocking and laughing and whooping and turning around to Jack and to the crowd to nod and laugh and join in their exquisite merriment. He pounds his hands on the stage so strongly that they will hurt in the morning, and the old man’s white locks almost shake with the floorboards. Henry looks behind him, but he can see by the faces in the glare of the footlights that the question was directed to him. “Henry Lawson,” comes the nervous reply, and the crowd cheers and applauds as loudly as before. Henry is overwhelmed and salutes and quickly sits down low in the green upholstered seat, but Jack forces him to turn around again and take the bow that the audience so uproariously demands. And so, this is how it came to be that Henry Lawson first heard the phrase, “Truth is more of a stranger than fiction”, with Jack Brereton, Samuel Langhorne Clemens and Mr Jim Beam, later that night, in Mark Twain’s room at the Athenaeum Club. For many years Archibald had a week-end cottage at Cronulla. There among his pots and pans he would entertain. Poets and artists, who as freelances ate for the most part at counter lunches, were regaled by Archie with turkey and champagne. "A change of diet," he said, "is good for everyone." Some week-ends his guests would be Jack Want, leader of the Bar, Toby Barton and the bon vivants of the day. "I'd give them corn beef, pot-atoes and beer," Archie told, adding with a chuckle, "A change of diet is good for everyone." His companions on these latter occasions were all members of the old Athenaeum Club, then the haunt of wit and learning. The quality of the speeches at a dinner given to Lord Rosebery on his one visit to Australia so captivated him that he bought the building and leased it to the club at a peppercorn rental. These journals also note that he stayed at the Australia Hotel, opened June 19, 1891, which also had an entrance on Castlereagh street and frontage to Rowe street. Lawson had removed to John McGrath's Edinburgh Castle Hotel in 1895, corner of Bathurst and Pitt streets. It would seem Samuel Clemens, a man of letters who kept notes and journals, would have written down the name of the place correctly though - In Following the Equator - A journey around the world by Mark Twain, SAMUEL L. CLEMENS, HARTFORD, CONNECTICUT(published 1897) he lists the names of places he visited and his attempt to weave these wonderful and song-like Australian place-names into a poem. MARK TWAIN An Incident of his Stay in Sydney. Then Mark shook his hyacinthine locks and was convulsed with nasal laughter. Mark Twain and his family aboard the SS Warrimoo sailing to Australia in 1895, courtesy Special Collections, University of Virginia and US Embassy. And Samuel Clemens aboard the Warrimoo deck. This photo also appears as the bookfront page in as a lithograph, for printing, Following the Equator - A journey around the world. Mark Twain, late 1895 / Falk Studios, 496 George Street, Sydney. Image No. : a4365023, courtesy State Library of NSW. “Truly Yours Mark Twain / Dec ‘95” — signature below the lower edge of the photograph. It seemed a strange place for a fight — that hot, lonely, cotton-bush plain. And yet not more than half a mile ahead there were apparently two men struggling together on the track. “I wonder where the other man sprang from? I didn’t see him before,” said Sunlight. They dropped swags, water-bags and all, and raced forward; but presently Sunlight, who had the best eyes, slackened his pace and dropped behind. His mates glanced back at his face, saw a peculiar expression there, looked ahead again, and then dropped into a walk. They reached the scene of the trouble, and there stood a little withered old man by the track, with his arms folded close up under his chin; he was dressed mostly in calico patches; and half a dozen corks, suspended on bits of string from the brim of his hat, dangled before his bleared optics to scare away the flies. He was scowling malignantly at a stout, dumpy swag which lay in the middle of the track. “Well, old Rats, what’s the trouble?” asked Sunlight. They talked awhile; then Sunlight proposed to second the swag, while his mate supported the old man, and after some persuasion, Milky agreed, for the sake of the lark, to act as time-keeper and referee. Rats entered into the spirit of the thing; he stripped to the waist, and while he was getting ready the travellers pretended to bet on the result. Macquarie took his place behind the old man, and Sunlight up-ended the swag. Rats shaped and danced round; then he rushed, feinted, ducked, retreated, darted in once more, and suddenly went down like a shot on the broad of his back. No actor could have done it better; he went down from that imaginary blow as if a cannon-ball had struck him in the forehead. Milky called time, and the old man came up, looking shaky. However, he got in a tremendous blow which knocked the swag into the bushes. Several rounds followed with varying success. The men pretended to get more and more excited, and betted freely; and Rats did his best. At last they got tired of the fun, Sunlight let the swag lie after Milky called time, and the jackaroo awarded the fight to Rats. They pretended to hand over the stakes, and then went back for their swags, while the old man put on his shirt. Then he calmed down, carried his swag to the side of the track, sat down on it and talked rationally about bush matters for a while; but presently he grew silent and began to feel his muscles and smile idiotically. “Can you len’ us a bit o’ meat?” said he suddenly. They spared him half a pound; but he said he didn’t want it all, and cut off about an ounce, which he laid on the end of his swag. Then he took the lid off his billy and produced a fishing-line. He baited the hook, threw the line across the track, and waited for a bite. Soon he got deeply interested in the line, jerked it once or twice, and drew it in rapidly. The bait had been rubbed off in the grass. The old man regarded the hook disgustedly. Next time he was more careful. He drew the line in warily, grabbed an imaginary fish and laid it down on the grass. Sunlight and Co. were greatly interested by this time. He caught several cod and a bream while they were there, and invited them to camp and have tea with him. But they wished to reach a certain shed next day, so — after the ancient had borrowed about a pound of meat for bait — they went on, and left him fishing contentedly. But first Sunlight went down into his pocket and came up with half a crown, which he gave to the old man, along with some tucker. “You’d best push on to the water before dark, old chap,” he said, kindly. Mr. Lawson mentions Mark Twain in his Autobiographical writings (some volumes have been digitised by the State Library of NSW) and clearly was a fan as his own methods frequently employed humour, pathos and communicated a love of all humanity and a laughing at pompous fools who thought themselves in charge or displayed less liked human traits such as race prejudice - something Lawson and Clemens had in common, in all their works. The tone in Lawson's journals is that of a friend of some acquaintance, which was his nature in any case, as it was, in same, with Clemens. Henry Lawson certainly had friends in Manly during 1895 too, one of whom, Charles Lind, tragically took his own life and left a letter addressed to Lawson, which is recorded by numerous newspapers in 1896. The Australian poet would certainly have known about Narrabeen and its by then quite famous fishing grounds. ACCIDENT TO MR. HENRY LAWSON. In pathways of the Drover. God grant 'twill bring us Andy. Or rot in your bed of mould. In the critical hours of life. Bow to their selfish rule! The heart of the family, fool. Untitled houses, possibly residences of Henry Lawson, from album: Henry Lawson's funeral at Waverley Cemetery, September 1922, Digital Order Number: a6134008, courtesy Mitchell Library, State Library of New South Wales. To get at the truth behind the remark from Mr. Clemens own lips regarding a laughing matter during a fishing trip to Narrabeen we must resort to poring through the pages of those who knew more intimately the third mentioned member of this so-called 'party - J F Archibald, born and christened, John Feltham, who had a deep passion for all things French, and changed his name to Jules François, most well known for that fountain in Hyde Park and being one of the founders of the Bulletin with John Haynes. He was characteristically retiring, and had a constitutional objection to 'crowds' of even moderate dimensions. Indeed, he abhorred sitting still, if sitting still involved doing nothing, and he did not like listening if he could not answer. Hence the theatre or the concert hall bored him. He would attend such a place, with a companion, but would disappear before the orchestra had finished playing the overture, or, at latest, before the middle of the first act had been reached. He would wander down stairs and chat with the 'Front of the House,' stroll to a cab rank and discuss the points of a horse with a Jehu or seize on some acquaintance and plunge into the less-lighted streets talking ‘paper’. The dim byways of Darlinghurst and Potts Point wore the scenes of his nightly rambles and his peripatetic 'journalising' with the friend of the evening. In those days Archibald's chief relaxations were long walks and fishing excursions — but not with a party. A single companion, with whom he could talk 'paper,' was all that he required. 'The paper' obsessed him, absolutely and unceasingly. In his short snatches of sleep he often dreamt ‘paper,' and burnt the candle of a remarkable nervous vitality at both ends. Ultimately he was called upon to pay for the tremendous expenditure of energy by shattering health both of mind and body. In the strenuous days of the 'Bulletin', Wednesday afternoon was Archibald's weekly half-holiday, spent when he lived at Darlinghurst by a wander about the foreshores of Sydney Harbor, or a trip to the Zoo, or a fishing jaunt anywhere with a wharf attached; when he lived at Manly, often by a tramp to Narrabeen and back. 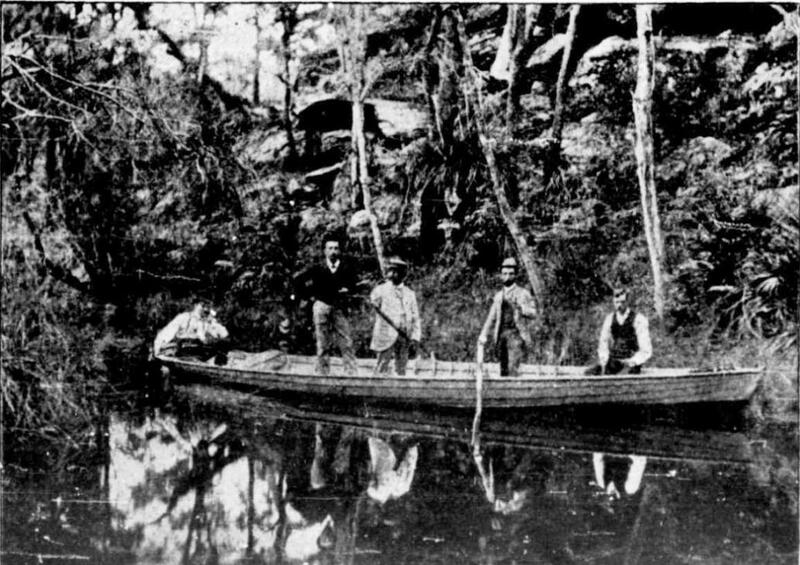 A motor-boat at Port Hacking, in the days of his recovery from serious breakdown, extended his piscatorial excursions to notable expeditions and epic exploits unrecorded in the placid annals of Izaak Walton. It would seem the fabled fishing trip did take place, that it was fishing at Narrabeen Lagoon and Wednesday the 18th of September or Thursday the 19th may have been the day or even later in Clemen's week and a half first visit to the harbour city. His 'Journals' note that he claimed to have caught a fish at Bondi on September 19th and that this is the root of the 'shark stories' that form part of Clemen's espousing on the same in Sydney in Following the Equator - A journey around the world. It could also be read, from this information, that similar skylarking and fishing, with Mr. Lawson near or not far away, happened on occasion at Manly during his brief stay in Sydney before heading to Melbourne and Adelaide on Wednesday September 25th. The trip may even have taken place during his return to Sydney from New Zealand, arriving Tuesday December 18th to his departure on Monday December 23rd, barring the day spent on the Hawkesbury. "It would be beautiful without Sydney, but not above half as beautiful as it is now, with Sydney added. It is shaped somewhat like an oak-leaf—a roomy sheet of lovely blue water, with narrow off-shoots of water running up into the country on both sides between long fingers of land, high wooden ridges with sides sloped like graves. Handsome villas are perched here and there on these ridges, snuggling amongst the foliage, and one catches alluring glimpses of them as the ship swims by toward the city. The city clothes a cluster of hills and a ruffle of neighboring ridges with its undulating masses of masonry, and out of these masses spring towers and spires and other architectural dignities and grandeurs that break the flowing lines and give picturesqueness to the general effect. Another of Sydney’s social pleasures is the visit to the Admiralty House; which is nobly situated on high ground overlooking the water. The trim boats of the service convey the guests thither; and there, or on board the flag-ship, they have the duplicate of the hospitalities of Government House. The Admiral commanding a station in British waters is a magnate of the first degree, and he is sumptuously housed, as becomes the dignity of his office. Third in the list of special pleasures is the tour of the harbor in a fine steam pleasure-launch. Your richer friends own boats of this kind, and they will invite you, and the joys of the trip will make a long day seem short. Illustration on page 140 in Following the Equator - A journey around the world. Prior to heading south once more Mr. Clemens did in fact visit closer our namesake estuary on Sunday, December 22nd when a visit to the Hawkesbury, leaving via the Market Street wharf (per 'Journals'), formed part of his second last day in Sydney. His wife Livy and one of his daughters, Clara, who accompanied him on his 'world tour', also went on the trip to the Hawkesbury. Here once again a note is recorded that he had contact with Bulletin staff on this day - probably J. F. Archibald. This visit to the 'Hawkesbury National Park' was in the company of a H. S. Chipman. The steamships Newcastle, Sydney, Maitland and Namoi offered excursionists picnic and day visits to the Hawkesbury and Pittwater (Newport) during 1895. The Government also offered a trip via train on Sunday December 22nd, departing from Milson's Point, to the Hawkesbury where excursionists would be taken on the General Gordon paddlewheeler for a trip along the Hawkesbury. People nowadays pass their lives reading papers and getting photographed, and two hours after Mark Twain had landed in Sydney, he, with his wife and daughter, had been taken by Falk and Co. Mrs. Clemens takes life more seriously than her husband, is reserved in manner, and looks at everything through matter-of-fact glasses. She dresses simply, having a preference for brown colours; so has her daughter, a slight, dark, pretty girl, with hair done in Madonna fashion. They are attentive listeners to Mark's entertaining stories, and it is easy to see that the author of The Innocents Abroad is a hero in the eyes of his wife and daughter. WIFE AND DAUGHTER OF MARK TWAIN. Henry Lawson - studio portrait by May Moore, ca. 1915, Creator	Moore, May, 1881-1931 Digital Order No. a128844, courtesy State Library of NSW. I turned my eyes to "Hansard" of the fifteenth of July. That foolish speech of Brentnall's in the Vote of Thanks debate. Oh, Brentnall, of the olden school and cold, sarcastic style! As entertaining as the lines you read the other night. You read and file the "Worker" ; we expected something less. "My attention was directed to a certain print" (you know). Where truth is very seldom heard except from one or two. And you are on the other side, and that explains it all. Your daily bread is buttered on the upper crust, my friend. WE aim at "vested interests" (the gun is loaded, too). FELT the curse of Greed. There's little nonsense in the school where Labor learns its creed. But you know little of the Cause that you are running down. Yet I could take you through the hells where poverty holds sway. And show you things you'd not forget until your dying day. And felt the pavement wearing thro' the leather, sock, and skin? Until you cared not though you ne'er might touch your tools again? Oh, Brentnall! Have you ever felt the summer sun and dirt? And wore the stiffened socks for weeks, for weeks the single shirt? And crept away in shadows with your misery and pride? "As heirlooms in the family" when they are dead and gone. And, e'er the nap is worn away, they mightn't like it known. How goslings did the goose step while a gander led 'em round. that generations yet to rise may lay them down and laugh. Can soothe the thought that one has made a Jackass of one's self. Your chance to catch one is as good and better than the best. And, well, perhaps 'twould be as well to leave the muse alone. Might hit a little harder if I only liked to try. Henry Lawson Brisbane, July, 1891. The kindly scamps of poor Bret Harte! Have held their sway since Dickens died. Three thousand weary years ago. As happy as in Pharaoh's time! Shall pray, when all is said and done. When late to "chapel" long ago. And make a filthy thing of love. We make a "problem" of grand Life! Despite the shining signs above. Are young as when the world was young. To where my working people live. And Mary "dishing" up the "tea". A bit about Mr. 'Twain' while on our shores. The name of Mark Twain is known wherever the English language is spoken, and his books have been universally read. He is now visiting Sydney for the purpose of giving a series of lectures. The real name of this American humourist is Samuel Langhorne Clemens. He was (we quote from "Chambers's Encyclopaedia ") born at Florida, Missouri, November 30, 1835. He learned the trade of a printer, and afterwards acted as a pilot on the Mississippi River. From a well-known call of the man sounding the river in shallow places ("Mark twain," meaning "by the mark two fathoms"') his pseudonym as a writer was subsequently taken. After the outbreak of the war of 1861-65, he went to Nevada, where he tried silver-mining; next he edited for two years the Virginia City Enterprise, to which he had previously contributed as "Mark Twain ; " and in 1861 moving to San Francisco, became a journalist, and lectured with success there and in New York. In 1867 he joined a pleasure party going abroad, and visited France, Italy, and Palestine, gathering material for his "Innocents Abroad"' (1869), which established his reputation as a humourist, 125,000 copies selling within three years. He was afterwards an editor at Buffalo, New York, with an interest in the Express, where he married Miss Langdon, a lady of wealth. He, later, removed to Hartford, Connecticut. His books have been mostly sold by subscription, and have yielded him a large income. He is a member of the publishing firm of Charles L. Webster and Co. He was made M.A. of Yale in 1888. His humour, however grotesque, is never laboured, never mean or ungenerous ; it is singularly direct and simple in form, and has appealed as successfully to British as to American readers. "If the prevailing spirit of Mark Twain's humour," writes Mr. Howells, " is not a sort of good natured self-satire, in which the reader may see his own absurdities reflected, I scarcely should be able to determine it." Mr. Clemens has varied much of his work by excellent character-sketches and graphic descriptions. Among his books are "The Innocents Abroad"' (1869) ; "Roughing It"' (1872) ; '"The Golden Age " (1873), the last written with the cooperation of Mr. Charles Dudley Warner, and published both as a story and as a comedy, in which shape it had great success ; " Tom Sawyer " (1876 ), "A Tramp Abroad"' (1880), "The Prince and the Pauper" (1882), "Life on the Mississippi "(1874, re-issued 1883), "The Adventures of Huckleberry Finn" (1885), and a compilation, "Library of Humour " (1888). All these have been republished in England, and translations of his principal works have appeared in Germany. The Mark Twain Journal is devoted to the lives and works of Mark Twain and his circle of family, friends, and acquaintances, drawing especially on contemporary sources. The Journal particularly welcomes well-documented biographical and historical articles of Twain and his contemporaries but will also consider critical essays of general interest. Founded in 1936 by Cyril Clemens (Editor, 1936-82), it is one of the oldest journals devoted to a single author. Dr. Thomas A. Tenney edited it from 1983 until his death in 2012. In that latter year the journal became affiliated with the Center for Mark Twain Studies at Elmira College, which now serves as its editorial address. The Journal also has a formal affiliation with the Mark Twain Circle of America. A national board advises the editors about policies and submissions. HOTEL AUSTRALIA, CASTLEREAGH-STREET, SYDNEY. 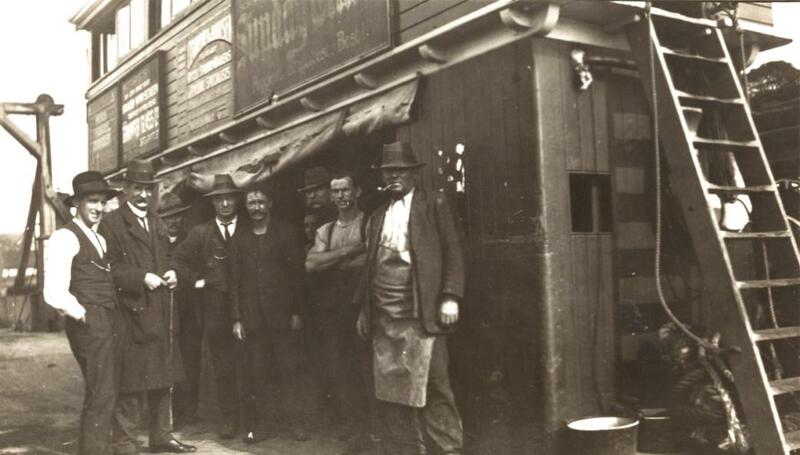 Kerry and Co., George-street, Sydney, photo. HOTEL AUSTRALIA : ENTRANCE HALL AND NEW LOUNGE GALLERY. Max O'Rell, in his "John Bull and Co.," writes:-'"The Australia Hotel, where a suite of pretty rooms has been engaged for us, is a revelation. Neither Europe nor America has anything more comfortable and luxurious to show. The rooms are elegantly furnished, the table excellent, the wines first-class, the manager most obliging, the service admirable. We are going to be in clover. The Australia is a happy combination of the best features of European and American hotels. Sydney has as much right to be proud of this hotel as of her harbour." New Stern-Wheel Steamer for the Hawkesbury. Mark Twain, J.F. Archibald and Henry Lawson - Did They Go Fishing At Narrabeen In The Spring Of 1895? : Probably!